It’s common belief that the best time to sell your property is in spring and the worst time is winter. On the surface that makes sense, in spring everything is in bloom, looks great, lots of people are listing their properties and more people are out and about looking at properties. 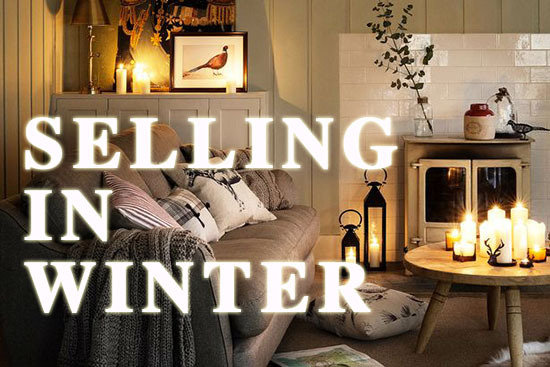 The fact that ‘lots of people’ are trying to sell their property in spring is just one of the reasons why winter isn’t that bad a time to sell your property. The number of motivated buyers doesn’t decrease over the cooler months. People who need to move in a specific time frame will still brace the cold to purchase a property. There may be less people at the showings however, the people who do view the property will be more qualified. As discussed earlier, a lot of sellers put their property on the market in spring not winter. With less stock in the market means sellers have more control. It is estimated that stock in winter drops as much as 30 – 50%, meaning less competition. With less stock in the market means if your property is priced and marketed correctly you have the potential to fetch top dollar as buyers are motivated however, they don’t have many houses to bid on. So, unless you have a botanic like garden that looks best in full bloom or a home with little natural light that in winter will look dark and gloomy then selling in winter will likely produce you a better result. For more information about how the experienced team at Changing Places can help you sell your property please click here or call 1300 130 998.